Based in Ellicott City, Maryland, we provide services in Maryland, Washington D.C., and Virginia. Our staff has extensive experience in building projects both large and small. We strive to meet our Client’s needs in a cost-conscience and professional manner by utilizing those subcontractors and professional support personnel who maintain the highest work ethic. CAPITAL is committed to producing only the highest quality projects. We attribute our success to the relationships we’ve developed with our clients, architects, engineers, and subcontractors. We align ourselves with those businesses that share our quality vision as well as our values of honesty and integrity. Staying at the cutting edge of building technology is one of our top priorities. 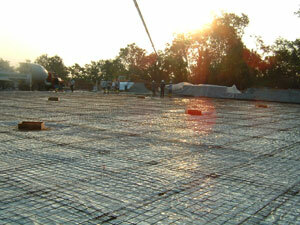 We pride ourselves on being knowledgeable in the most current construction practices. We are dedicated to providing innovative solutions to problems while utilizing a common-sense approach throughout the construction process. In addition to general contracting, we provide complete preconstruction services as well as masonry and concrete subcontracting. With over 25 years of commercial construction experience, our staff has completed construction projects in the following market sectors: retail, manufacturing, healthcare, technology, government, institutional, aviation and industrial. CAPITAL Contracting, Inc. is not only dedicated to providing superior service, we are committed to building lasting relationships. We welcome the opportunity to bring our knowledge, experience, and commitment to quality performance to your project.